I love that big D Doom is using as a belt buckle – that’s accessorising, my man! 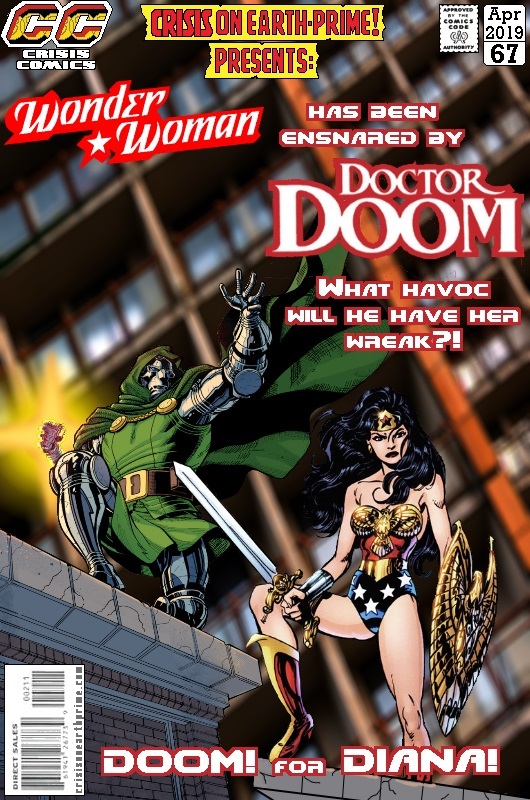 Posted on Monday, April 8, 2019 Saturday, March 23, 2019 by GaryPosted in Mash-UpTagged Dr Doom, Wonder Woman. Anywhere other than comics it’d be ridiculous, but that’s Doom for you. I feel like him and Apocalypse are missing a couple of other villains that wear big belts with their first initials on them in order to spell out a super secret word or something. Seems like they’re missing out on a solid marketing scheme there.